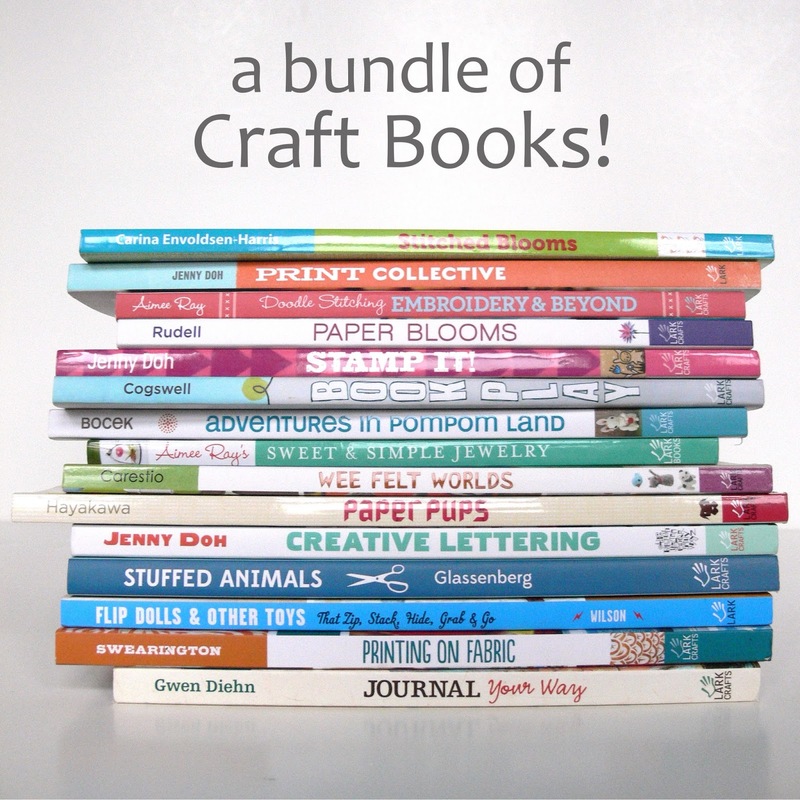 Stumbles & Stitches: Giveaway: a bundle of craft books! They all look great, but I'd definitely want the flip doll and stuffed animals books. So cute! All are wonderful, it's too hard to pick just one! The titles on making handmade books intrigue me the most. Such a great giveaway - thanks for the opportunity! So many of the books look great; I guess I'd select if I win. What a fun giveaway! thank you! I would love the stitched blooms and the wee felt looks sweet too! have a good day and thank you again! I love craft books. My choices would be: Printing on Fabric, Creative Lettering, Stamp It, Print Collective, Stuffed Animals. Thanks for the great giveaway. Love it! Flip Dolls and Other Toys would be a great help to make toys for my granddaughters. Paper Blooms would come in handy for my son's wedding next year. Thanks for the chance. Great giveaway. My daughter just got creative lettering and loves so I think I would choose the other book by the same author. I also have been wanting the stuffed animal how to book. They all look wonderful. I am very interested in wee felt worlds and pom pom land. A few of those are already on my wish list! Flip Dolls and Creative Lettering especially. You can always use more books! Thanks for the chance to win! I'm really interested in the fabric printing one- how much fun would it be to come up with your own prints? I'd love Wee Felt Worlds, Doodle Stitching, Adventures in Pom Pom Land, Flip dolls and other toys, and Stitched Blooms. Great giveaway! I would love to win some of these books! Doodle Stitching and Printing on Fabric look right up my alley. Wow, what an awesome giveaway!!! mmm the Stuffed animals look fun, definitely the Stitched Blooms and Doodle Stitching would be one....Thanx for the chance to win! Wow! Awesome list. I'd be interested in Doodle Stitching, Printing on Fabric, Stuffed Animals, Flip Dolls & Other Toys, and Paper Blooms! I love craft books! The best reading material for rainy days. They look like a wide range of interesting craft books. I'm most interested in the fabric printing ones. Fun! The Doodle Stitching and Journal Your Way look interesting, plus several others! Awesome giveaway! Doodle Stitching is at the top of my list! Doodle stitiching & the other embroidery book for sure. Probably also the flip doll book. Stamp It and Flip Dolls sound like a lot of fun!! Thank you for the wonderful giveaway! I'm looking forward to some relaxing stitching after all the holiday preparations are completed. I'd enjoy Doodle Stitching. They all look very interesting, but I think I'd definitely be most interested in the embroidery ones. I've been trying to get back into embroidery recently and I'd love to have some more inspiration. great fun -thanks for the chance to win!! Flip Dolls and Other Toys sounds like so much fun! Thank you for the chance to win such wonderful books. Lots of fun here. I'd love painting on fabric, stitched blooms, or adventures in pom pom land. Thanks! Wow, what a great giveaway! I can never pass up a good craft book! I definitely have my eye on Doodle Stitching, Paper Blooms, and Journal Your Way. The printing on fabric and flip toys appeal right away! Printing on fabric and doodle stitching. Awesome craft book library! Awesome giveaway! If I were to win, I would choose: Flip Dolls & Other Toys, Stuffed Animals, Doodle Stitches, Paper Blooms & Adventures in pompon land! I'd like to learn more about stuffed animals, but love crafts in general. Thanks for the giveaway! Woweee! The doodle stitching book looks most interesting to me overall! WoW! Book Play looks like fun! Very nice. The flip doll one looks great. I would pick the Creative Lettering and Paper blooms for sure! The Creative Lettering and Doodle Stitching book look the most appealing to me. Wow what a generous giveaway! Thanks! 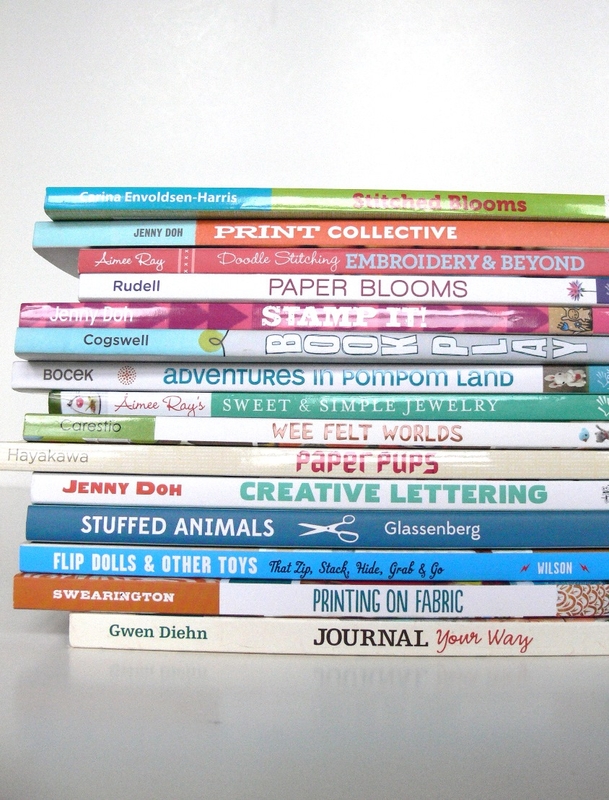 The Creative Lettering,Flip dolls, and Journaling Your Way books look interesting to me. I'll have to do some thinking and over-thinking to decide which ones I want! I would love a book on printing. 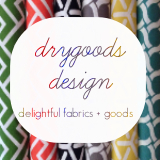 I just ordered some stuff to give it a try, and took a class on screen printing last spring. Now if I could just move from paper to fabric! :) Thanks for the giveaway! So many of these books look wonderful! Oh so fun! I've been dying to check out Abby Glassenberg's stuffed animal book, plus I've also been wanting flip dolls etc, and felt worlds would be right up my alley. Not sure what'd round out my 5. They all look so fantastic! Thank you for the giveaway...I would love to win the "Embroidery & Beyond" book, I love to embroider. Love these books! I really would like to use Aimee Ray's Doodle Stitching: Embroidery and Beyond. Thanks for the opportunity to enter the giveaway. Doodle Stitching and Printing on Fabric look interesting! Wow that's a generous giveaway! I imagine choosing books will be a difficult task for the winner. Congratulations on having projects featured in the new book coming out next year. I think they all sound great!! I would pick all quilting/sewing books. Creative Lettering and Printing look like fun! Thanks! The embroidery and beyond looks interesting! I can't decide on books this quickly but would love to have any of them. Thanks. What a great giveaway! Sweet and Simple Jewelry, Stuffed Animals, Paper Blooms...actually, they all look good. Paper blooms and Stitched blooms books look interesting to me. All look great though! The journaling book and the stamping book are 2 for sure that I'd pick. Thanks for such a great giveaway. They are all appealing! I love all the titles! I'll take any five you want to give! I just love looking at craft books. 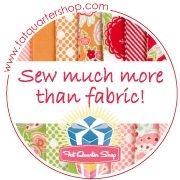 I am getting tired of just quilting, so other crafts will be very welcomed! Stitched Blooms: 300 Floral, Leaf & Border Motifs to Embroider this looks pretty cool and I am just starting to embroider. I've been dying for the Flip Dolls book!! The one I'm most curious about is Printing on Fabric: Techniques With Screens, Stencils, Inks & Dyes, I've been curious to try my hand at dying for awhile! Paper Blooms looks great! My daughter is getting married next year and has already said she wants the bridesmaids flowers made from vintage books. What a generous giveaway. My nieces are talented crafters and creators; if I win I would definitely consult their mom on what would rock their worlds. The sewing and embroidery books are what I would be most interested in. I have a couple of the Doodle stitching books by Aimee Ray and would love that new one. Stitched blooms and Wee Felt Worlds look fun too! Wow - my favorite kind of giveaway! I'm especially excited about "Stitched Blooms" and "Sweet and Simple Jewelry". Thanks to you and Lark Crafts for a great giveaway! I like Book play, Paper Flowers , both embroidery books, Sweet and Simple Jewery, and Journal Your Way. 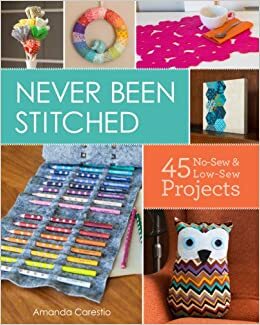 Ooh, I'd love that doodle stitches book! Thanks! Fun! What a great group of books. Creative Lettering, Stitched Blooms and Painting on Fabric, just to get started! Happy holidays! Printing on Fabric looks pretty cool! nice to see you ladies pop up in the list of giveaways! any five of these books would give us lots of fun and craft time, thanks for a chance. Embroidery and Beyond catches my attention! The flip dolls book and the Wee Felt Worlds both look really great! Thanks for the giveaway! Stitched Bloom, Embroidery & Beyond and a few other ones I've had my eye on, thanks for the giveaway. They all look great. My top picks would be Adventures in Pom Pom Land, Creative Lettering, and Wee Felt Worlds. Thanks for the opportunity! The printing books and Doodle Stitching - I'm in the process of learning how to embroider beyond cross-stitch and I would love to learn to print my own fabric designs! Printing on Fabric: Techniques With Screens, Stencils, Inks & Dyes by Jen Swearington looks so interesting! Thanks for the chance to win! These are wonderful! I would love to get my hands on the embroidery and fabric printing books! Thanks for the chance to win! i have thumbed through at least one of these, but I am most curious about doodle stitching :) GREAT giveaway! love it. thank you! Thanks for hosting this giveaway! It reminds me of choosing my dream toys (a lot of them!) from the Sears Christmas Catalog, when I was a kid. I had such fun, even if I didn't get any of them as gifts. I love Lark Craft books! I have the Stamp It! book by Jenny Doh and it is awesome! I would probably pick Creative Lettering, Stuffed Animals, Doodle Stitching, Print Collective and Printing on Fabric. What an awesome giveaway! I'm interested in the Paper Blooms book because I'm planning to make paper flowers for my wedding in August. what a wonderful giveaway! I love love love book!!! It would be hard for me to pick! These look so fun! 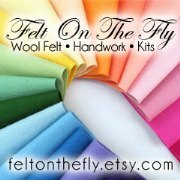 I really am interested in Wee Felt Worlds! I have recently began learning felt work. The Jewelry book would be interesting! I think that doodle stitching book looks really fun! I'd love the Stuffed Animal one. I would consider it great fun to learn something new, so any of these pretty books would be a great gift....but I would like the stuffed animal book! Paper blooms, or Paper Pups - They are all fabulous! What I fun giveaway! This looks like so much fun. I'd love to be able to pick a few of these. I think my favorite is "Embroidery and Beyond"..
Doodle Stitching: Embroidery and Beyond by Aimee Ray and Wee Felt Worlds look great. Printing on Fabric and Embroidery and Beyond for starters...! I have been thinking of doing some stuffed toys and such. There are a few titles on there that look in inviting. Craft books are my favorites! I am drawn to the books on embroidery - improving these skills is one of my goals for the new year! I love the embroidery book and the felt book! I would love the embroidery book. 1. Stitched Blooms, 2. Printing on Fabric, 3. Doodle Stitching, 4. Stuffed Animals, 5. Flip Dolls. And I clicked on the pre-order link and it didn't work? Maybe it's just me. Oh my they all look great.. but I would say the flip dolls and other toys, felt play, and wee worlds.. would be awesome! Wow. So great. Journal Your Way, Paper Blooms + Doodle Stitching look pretty neat, Fingers crossed! They all look good, especially the printing and screen printing ones. I have the Doodle book. Journal your way; ow to make handmade books looks great. I also liked the Wee felt animals one, very cute. Oooh... I'd start with the two Aimie Ray books. What a fun giveaway - thanks so much! I love "Flip Dolls & Other Toys." I checked it out at the library and instantly added it to my Christmas list. The Stitched Blooms and the Doodle Stitching look fabulous! Happy holidays! Oh my gosh, so many fun books! I would love Doodle Stitching! And the Pom Pom book, Felt book and Flip Dolls books. They all look amazing! oh i've been drooling over flip dolls - i'd have to spend a lovely afternoon debating between the rest. Stitched Blooms would definitely be on the top of my list. My daughter would love the sweet and simple jewelry book. Lovely giveaway. Doodle Stitching, Print Collective, Printing on Fabric, and Creative Lettering all look like fun books! I would love to sneak a peek at Stitched Blooms! I think I would have a lot of fun with paper pups. Flip Dolls and Doodle Stitches would be the first two on my list! Stuffed Animals and Doodle Stitching for sure! Wonderful giveaway! I would love any of the stitching/embroidery books and the stuffed animal book. There are many that look wonderful including creative lettering journal your way, doodle stitching, sweet and simple jewelry and flip dolls. Print collective sounds fun to try. Thanks for the chance! Love craft books! I'm most interested in the sewing books. They all look awesome! I think my daughters and I would especially enjoy the Pompom Land, Wee Felt Worlds, and the Paper Pups. Thanks! Doodle Stitching, Jenny Doh's Creative Lettering and the Journaling books are my favorites. They all look amazing. Printing on Fabric caught my eye right away! Wow! I'd LOVE to have my own copies of Abby Glassenbergs' "Stuffed Animals" and the "Flip Dolls" book too. Right up my alley. Wow, some of those look really great! I'm particularly interested in Felt Worlds. That doodle stitching book looks great. Thanks for the giveaway! Oh, I like lots of them, but printing on fabric, felt, lettering, oh, they are fun! What a lovely giveaway! The Jenny Doh books all look great. Congrats on your book contributions, too! I've had Doodle Stitching on my wishlist for a while. Thanks for the chance! I love craft books! The Stuffed Animal book looks interesting. I think I'd like the embroidery, lettering, and stuffed animal books... Thanks! Doodle Stitching sounds like fun! oh god, such good books, but i've been wanting doodle stitching for a while. and the pom pom book! oh no, too many sweet choices! doodle stitching is my favorite! the pompomland book looks too cute! So many great titles to choose from! I think that Doodle Stitching, Wee Felt Worlds, Flip Dolls and Stuffed Animals would definitely be at the top of my list. Thanks so much for the chance to win your giveaway! Oh! I so want to learn how to print on fabric!